I'm back!!! And, there is no better time to be back than the fabulous Book Bloggers Appreciation Week (BBAW)! BBAW was an event launched many years ago to show appreciation and love for the book bloggers in our lives. It was discontinued because of the time and energy that went into it, but a team of fabulous bloggers have been able to bring it back. 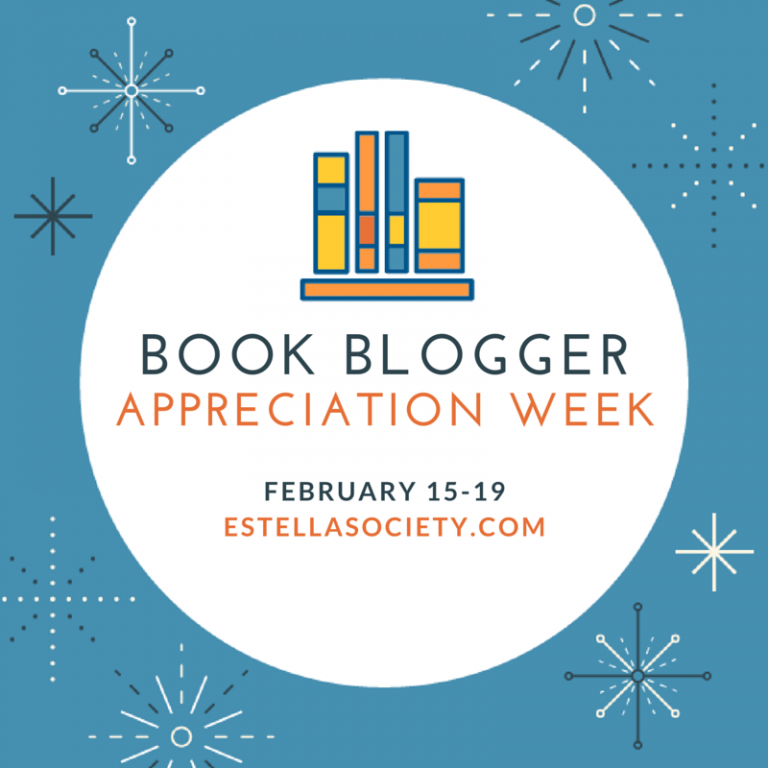 Be sure to check out more of the history and the bloggers that have revived it over on The Estella Society. Anyways, there is a prompt for every day this week to help us commiserate about books and blogging, the very reasons we are here to begin with. And, today's topic is to come up with a list of books that represent me. Let me tell you that this was not an easy task, but here you go . . . This book remains as one of my all-time favorite books and for so many reasons. Maguire took a character that so many grew up with and had evil intentions, and gave her a story that helped us to better understand who she was. I firmly believe that we all have our own stories, and looking at lives from a different perspective is something that I try to live by every day. And, if I'm being honest, I can probably be a bit of a wicked witch myself some days! I am a complete sucker for literature and art in all its forms, and this is one story that has stayed with me since I read it last year. I frequently think about it, remembering the beauty of the illustrations, and cannot get enough of how it can possibly apply to real life and about how we need to embrace who we are. I am a huge fan of Stephen King, so I had to include at least one of his books on this list. 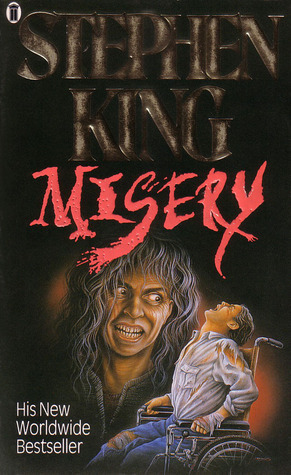 Misery is one that I only recently read, but it quickly made it to one of my all-time favorite lists simply because of the complicated way it was written. King's writing is something that I admire, especially as a wannabe writer myself. And, for the record, I am not a miserable person, even if 2016 has not been my year! Don't let the title of this book deter you because it is yet another one of my favorite books ever read. I am a sucker for a good story (all different kinds of them), and this one is one that I can relate to on many different levels. 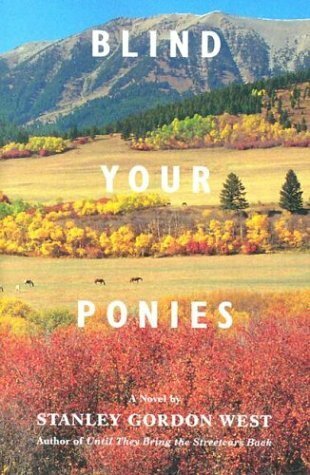 It is set in the great state of Montana (my home state and the one I currently reside) and speaks to so much of my small town life growing up. How can I not include Harry?!? Afterall, he is my comfort read, my go-to read when I need a pick-me-up. I believe in magic and imagination and the power of good. Must I really say more?!? I really could keep adding books to this list, but I'm going to leave it with these five. I think the eclectic list alone shares a lot more about me than any single title can. What books would you say represent you? Do we have any titles in common? I love that you included Wicked! It's such a great reminder that life is multifaceted and that it's a good idea to check out the other perspectives in any situation. Plus, you know, flying monkeys. So happy to see Bling Your Ponies getting attention. I love this typo soo much. The picture I get in my head . . .
Christy ... Ha! I didn't even notice it at first! I want to read that ponies book! :) Great job listing all sorts of books. I've just posted mine and I've no idea if I accomplished this task well or not! Happy BBAW! Suey ... You really do need to! And, I may have some more for you to read!! I am hopefully going to finally visit a few posts myself tonight. I can't wait to read your's! Kay ... Those older titles are definitely classics! The Shining is one of my faves too!! Welcome back! I haven't read any of these (yes, not even Harry Potter). I better check them out. Chris bookarama ... Thank you! You definitely need to check these out, then let me know what you think! I loved Wicked. I picked it up after seeing the musical and was delightfully surprised by how different it was. I've read a few others he has written as well, but it's been a while since I've picked up something by him. I love your list! Meghan K ... They are so very different, but in unique and wonderful ways! I've read others by Maguire as well, but I need to pick up more. I tend to really enjoy his work. SHANAYA TALES ... Welcome to the blog! Glad to meet another Harry Potter fan! p.s. We're not doing a very good job of getting that Wicked series read going, are we? Why does life have to be so crazy? Kristen M. ... I just loved reading this!! And, we really do need to do that readalong going, if I can find my copies. I seemed to have misplaced them in my latest move and can't remember which box I put them in! >> I firmly believe that we all have our own stories, and looking at lives from a different perspective is something that I try to live by every day. That's such an awesome thing to take away from Wicked -- and, honestly, from reading as a general practice. I love your list! I've branched out some, but there was definitely a point where I was consumed by all things Stephen King. Misery is a great choice! Rory ... I still go through spurts of King! And, now I can add a bit of his son's work to those binges as well! 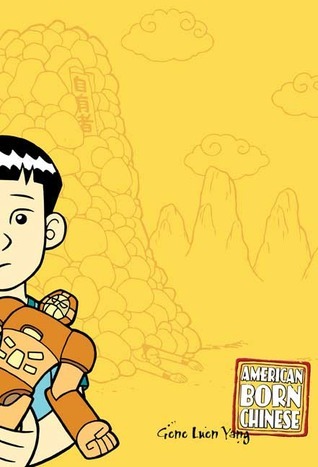 I loved American Born Chinese. I haven't totally gotten into graphic novels, but I've read a few that were amazing. I'm enjoying all the HP love today! Shelley ... If you are ever looking for more recommendations on graphic novels, just holler. I can definitely recommend more of my favorites! Roof Beam Reader ... Yay!!! Misery honestly blew me away. I never expected it to be so complicated and now that I am writing (or attempting to write) more, I appreciated it even more through the writing eyes. Hi Tif! *waves* How are you? Glad to have you back...and glad to be back myself. Michelle Miller ... Hello!!! I'm glad you are back as well, and hopefully, feeling much better these days! You know, I still have never read Anne Rice I don't think. I need to change that! wordsandpeace.com ... That sounds so familiar!!! I will be off to visit your list soon. Can't wait to see which ones you choose. I loved Wicked so much. I'm glad to see it on your list. Such an important lesson for us all, i think. Not to mention I will never look at Elphaba the same again. I really liked Misery too. And Harry Potter. My daughter likes to pretend he's her brother. :-) Those stories are well loved in our house. Literary Feline ... Awesome! And, I love that your daughter pretends Harry is her brother. That makes my day!! 2016 isn't even a quarter over yet! It might still turn out to be your year. Tasha B. ... Thank you for that encouragement!! I needed that! I really need to give Wicked a try! It has been on my mind, but not on my to-read list. I will remedy this. I LOVE LOVE LOVE American Born Chinese and anything else by Gene Luen Yang! Such a great book. It is one of my favorite graphic novels. I grew up with Harry Potter. I first read him when I was 11 or 12, so I was the same age as him and everything. Kami ... Of course, I recommend Wicked, but I must warn you that it is not a family-friendly book! If you are okay with that, definitely dive in! 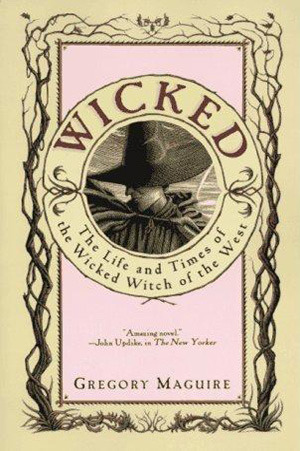 I was the only person in my book club who found Wicked any more than tolerable. I'm glad there are readers who appreciate it, and I really like the range of your list! Florinda Pendley Vasquez ... You know, I have met very few people who appreciate that book as much as I do. Most of them were students in a class I taught about the book! 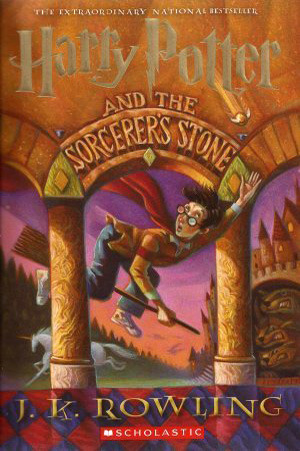 One day, I plan to read Harry Potter... in Spanish! Ooh, a King lover! I only got into King this year (I really, really liked IT and found THE SHINING just all right) and am looking forward to diving deeper into his work.